A German company named TG-Gold-Super-Markt.de plans to set up 500 gold-dispensing ATMs in Germany, Austria and Switzerland. 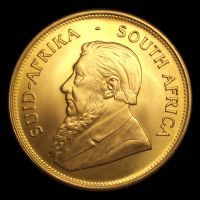 Each of these machines will dispense 1g, 5g and 10g gold bars made by Belgian precious metal recycling company Umicore as well as the popular South African 1 oz Krugerrand gold coin. “In absolute numbers, the demand for physical gold is still tiny in Germany,” Geissler said. “But in relative terms, the growth is explosive, inquiries have been doubling every six weeks,” Geissler said of the trend in recent months. TG-Gold-Super-Mark.de’s main precious metals business idea is based on online commerce. The gold ATMs to be set up at central locations such as airports, railway stations and shopping malls are intended to gradually accustom people to the idea of investing in physical gold, Geissler said. It’s a pretty interesting concept as it gives people an accessible way to acquire a bit of non-fiat money but the costs seem pretty very high.Last week one of the gold ATMs was on display at Frankfurt’s main railway station for a one-day marketing test, the Reuters article says one gram pieces of gold were sold for 31 euros. Priced in troy ounces that’s about 964EUR, a premium of more than 40 percent over the spot price which was around 680EUR that day. The article doesn’t mention the prices of the larger gold pieces but unless they are a lot cheaper I don’t think these gold ATMs will be successful. It’s very normal to pay a premium when buying physical gold, but 40 percent is way too much. For comparison, the price of a Krugerrand or Maple Leaf coin is around 730EUR in Brussel, that’s a premium of 7.14 percent and the premium on bars and less popular coins is significantly lower than that.